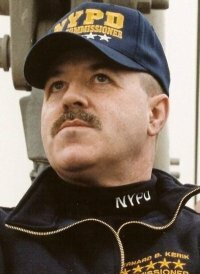 One-time national hero Bernie Kerik, the former N.Y. City Police commissioner, will remain behind bars in the Westchester County Jail for now. A 2nd Circuit Court of Appeals Judge in New York denied his request “to stay the revocation of his bail on pending trial in corruption charges, but granted an expedited hearing on the merits of the former NY Police Commissioner’s appeal,” Courthouse News Service reported. The hearing is set for this Thursday. U.S. District Judge Stephen C. Robinson of White Plains tossed Kerik in the can last week after revoking his $500,000 bond and calling him a “toxic combination of self-minded focus and arrogance.” He is now known as inmate 210717. The judge declared that Kerik had violated a court order by sending confidential information to a fund raiser for his defense fund. Kerik, who became a national hero after 9/11 as the N.Y. police chief, faces three trials on a host of charges including conspiracy, tax fraud and corruption. His first trial was set to begin today, but has been postponed. Posted: 10/26/09 at 9:00 AM under News Story.